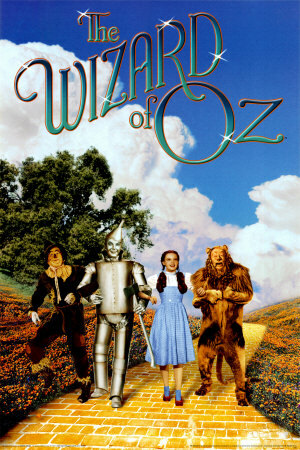 Quotables: DOROTHY: Toto, I’ve a feeling we’re not in Kansas anymore. 1939 is highly regarded as the best year in cinema, so though it didn’t win any of the “Big Eight” awards, I felt I couldn’t exclude the groundbreaking Wizard of Oz. If you look deeper into the film, you might see that it is so much more than a family film about finding the courage to stand up for yourself. It’s also about the selfishness and incompetence of those who are in power. Everyone knows that the Wizard is inept and self-serving; indeed, he probably sent Dorothy, the Lion, the Scarecrow, and the Tin Man on a wild goose chase to the Wicked Witch of the West’s fortress, in the hopes that they would be killed so that they couldn’t reveal him for the fraud that he was. But even the altruistic Good Witch, Glinda, might have had an ulterior motive. Before you completely dismiss the notion, just think about it for a moment. At the end of the film, Glinda tells Dorothy that she’s had the means all along to get home: the ruby slippers. But Glinda is the first person that Dorothy meets in Oz. So why didn’t Glinda tell her right then and there how to get home? The answer: because she wanted Dorothy to do what she, herself, was never able to do: rid Oz of the Wicked Witch of the West. Dorothy already smashed the Wicked Witch of the East, so clearly she could kill the other one too. Don’t get me wrong, Glinda’s intentions were pure, to keep the people of Oz safe from the tyrannical oppression of the terrifying Wicked Witch, but she still used Dorothy to attain her ends. But enough of my “conspiracy theories”! When I looked at the Oscars that The Wizard of Oz was nominated for, I was surprised that there weren’t more. In particular, I was shocked that it was nominated for neither Best Makeup nor Best Costume Design. Then I looked at the complete list of Awards, and neither of those awards were presented at the 12th Oscar Ceremony. It seems odd to me that they wouldn’t award achievement in makeup and costume, the costume designers and makeup artists dedicate so much time and effort into their crafts that it truly is a shame not to give them recognition for it.